Every year i use an ancient Kabbalistic technique to prognosticate about the year ahead. This year i was amazed and excited to learn what is in store for mankind. I think you will also be both amazed and excited. What to expect in 5778 - This recording will be posted during the month of Elul. When one prognosticates about the future there is a traditional statement that needs to be made in order to protect the prognosticator and the people who read or hear about his statements. The traditional statement which i am making at this time is: I am not a Prophet nor am I the Son of a Prophet. One may now feel safe in reading the balance of this page. Many times i am asked by students and friends: What will the future be? What will tomorrow bring? I usually answer, "We will all return to the Endless World (Ayn Sof). The only question is will the process be shorter for you due to your using the tool called Binding by Striking (Some call it Restriction) or longer due to your negative actions that create the necessity of cleansing through pain and suffering (chaos)?" Yet each year i analyze the year ahead as the Kabbalists have taught us to do. The reason they have given us this tool is not to satisfy our curiosity about the future. It is to learn about the essence of the energies that we will see during the year so that we can be prepared to restrict our reactive natures and also to learn how to enhance the positive aspects of the year. There are many people who are waiting for Mashiach. Waiting for Peace in our day. Waiting for the Resurrection of the Dead. Waiting for the Rebuilding of the Temple. There are many more people who have heard of these Prophecies. Yet they have not yet happened. Some people teach that they will come with miracles and wonders similar to the descriptions in the Torah of the Exodus from Egypt. Others teach that they will come in a natural and orderly advancement of human civilization. Which teaching will prove correct? Or can they both be true? Let me express a possible way that both can prove to be true. Right now there are a few people trying to bring the Palestinians and the Israelis to a meeting where Peace can be discussed directly between those two sets of people. Almost no pundit gives President Trumps Son in Law Jered Kushner a good chance. Yet the possibility exists. The tools of the Kabbalists tell us it is potentially possible in the year 5778. Not just to meet but to achieve the manifested peace. Of course that would be a miracle to have it happen so quickly. Of course that would be an orderly natural process of human advancement when it happens. The Kabbalists and modern physicists both teach the same thing. It will depend on YOUR INDIVIDUAL CONSCIOUSNESS. Will it happen is up to you. 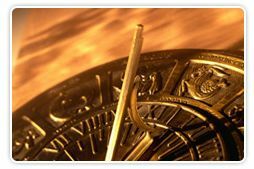 I can write a summary of the revelations from the tools of Kabbalah about this year ahead. Yet that has never and will never change your consciousness. Only you can do this change. You must hear this and see this (read this) for yourself. IT IS UP TO YOU WHAT YOU WILL DO WITH THIS INFORMATION. The first step is to read/listen to this whole web page/mp3 recording. Is an hour and a half worth bringing peace to the world? Of course I know you do not think that your spending an hour and half will change the world. The Kabbalists say it will. Please invest this time. YOUR WORLD NEEDS YOU TO SPEND THIS TIME. PLEASE. The Kabbalists teach that change comes about one person at a time. When we look at the modern world and how it has changed, we realize that the Kabbalists are correct. Change comes about one person at a time. Change comes about when one person decides to change themselves. Here is a simple request to change yourself. All you have to do is read this summary section and decide to read the next section after that. For most people that is a simple change. That change may lead you to decide to do another action of change. Let us see if that might be true by reading this summary section. When you change yourself - then you can change the whole world because other people notice the change in you. When you change and other people notice that, whatever the change is, makes you a happier person. They then decide to try to change themselves. Trying to change leads to actual changing. Please try...Just read a little bit more... Listen to a little more of the recording. You will change the world and will not even realize that you did it. This year the energies that appear to me to be the most significant for the world at large is the possibility that the one verse with a gematria of 5778 in all of the Tanach will be able to manifest. This verse promises to be a year that causes people to "bow to HaShem". This has the meaning, in my opinion, of accepting the yoke of Torah which must precede the idea of "walking with HaShem"
which is also one of the ideas expressed in this year. One way to learn about this year is to study this verse in detail. Not just in the English or the language that you understand but in the original Hebrew. By saying this verse repeatedly, the verse will become part of the consciousness of the people saying it. This is one of the tools that Kabbalah teaches. Below you will find the verses written in a transliterated form so that you will be able to say the verse in the original Hebrew as many times as you wish to do so. Perhaps every day during this year ahead. The essence of the year 5778 is "bow time" or / and "walk time". There is only one verse that connects to the energy of the year 5778 and that is the verse from 2nd Samuel Chapter 13 verse 6. Link to 2nd Samuel Chapter 13 Verse 6. Here is the verse itself for reading / study. וַיִּשְׁכַּב אַמְנוֹן, וַיִּתְחָל; וַיָּבֹא הַמֶּלֶךְ לִרְאוֹתוֹ, וַיֹּאמֶר אַמְנוֹן אֶל-הַמֶּלֶךְ תָּבוֹא-נָא תָּמָר אֲחֹתִי וּתְלַבֵּב לְעֵינַי שְׁתֵּי לְבִבוֹת, וְאֶבְרֶה, מִיָּדָהּ. Vayishchav Amnon, Vayetchal; Vayavoh Hamelech Leeroto, Vayomer Amnon El Hamelech Tavoh Na Tamar Achte Utlabav Leahnai Shetay Levavot, Vehvreh, Meyadah. Why i think the energy is "bow time"
In Hebrew the Name of the year is התשעח. This word has a number 5778 associated with this letter sequence. When we permutate the letters we are able to parse the letters into two words in Hebrew. One of these words translate as "time" - עתה. The other word שח translates as "walk" or "stroll" or "bow". This year also has many potential letter substitutions. One of these substitutions is the letter Ayin can be substituted for the letter Alef. This then spells the word "brother" - Ach. The additional letters translate as "place". Thus we see that the energy is also related to "place for brotherhood". In my opinion, the spiritual support system built into this year is related to the idea that if you work on increasing your bowing to HaShem - meaning working on becoming more humble then you will "walk" toward a "place of true brotherhood". One of our Students Daniel Wallin of Hillsboro Oregon sent me information about another verse that connects to this year in a positive vein. He used a program that is readily available for anyone relating to the Equal Letter distance Codes referred to as ELS. The verse is Psalm Chapter 32 Verse 5 . It has embedded in the verse the Name of the Year 5778 at an ELS of 3. This means find the first Tav and count 3 letters; there is a shin; then count 3 more letters and there is an Ayin; count 3 more letters and there is a Cheit. these 4 letters spell the Name of the year - 778 or 5778 as discussed elsewhere. ו וַיִּשְׁכַּב אַמְנוֹן, וַיִּתְחָל; וַיָּבֹא הַמֶּלֶךְ לִרְאוֹתוֹ, וַיֹּאמֶר אַמְנוֹן אֶל-הַמֶּלֶךְ תָּבוֹא-נָא תָּמָר אֲחֹתִי וּתְלַבֵּב לְעֵינַי שְׁתֵּי לְבִבוֹת, וְאֶבְרֶה, מִיָּדָהּ. There is a teaching that the year number is related to the Verse number in the Chumash. Here is a link to Verse No 5778 which is in the parasha of Hazinu. It is Devarim Chapter 32 Verse 23. Link to Devarim Chapter 32 Verse 23. Currently - at the end of the year 5777 - there are many pundits and experts indicating that this is the year of Mashiach. Here are 2 pdf files that explain some of the thinking about this coming year of 5778. Also this has been prophesied for many years especially by Rabbi Ashlag and Rabbi Brandwine both connected to the Kabbalah Center and the Benai Baruch Kabbalah Organization. I have also included a link of an article i wrote 4 years ago that also relates to these prophecies. I thank our student Chana - Barbara for preparing these pdf files. My early response essay - "Mashiach is coming in 5778 or not?. Let us discuss the meaning of a particular year and its energy. Included in the energy of a year and explained by the Kabbalah is all of the potential energy for that year. Good things may happen. Negative things may happen. What determinpsy sometimes do happen due to the effects of the quantum consciousness of the human species. We must realize that every Prophecy that is negative does not have to happen. People can change these negative prophecies to happen in a positive way or not happen at all. How does someone make these changes? The answer is simple – so simple that people do not think it is that easy to do it. They think it takes more difficult actions and they think that they as one person can not have a significant impact and change the world. Yet the truth is it is that simple. EACH PERSON can do these actions. These actions will impact the prophecies to happen in a positive way and eliminate the negative prophecies completely. Only you can change the world. When you change yourself you change the world. What do you need to do? The simple action is to change yourself. What does changing yourself mean? How do I go about changing myself? 1. Read/Listen to this web page/mp3 recording. 2. Decide that it is worth changing yourself a little bit. Know that the universe is waiting for you to change. The Sages and Kabbalists teach that we need to “see” ourselves as standing on a balance scale where our one simple action will throw the whole world into a positve mode or chas v'shalom a negative mode. This is more true today than at any time in the history of the world. which you will find here? That is the one simple thing that will change you so that the consciousness of the world will change. Yes, there is more that you can do as well. That will be revealed later in the year. The first step needs to begin now. It needs to be expanded by showing or telling this to everyone you know personally, or on social media, or every phone number in your call list. The more effort that you put into this connection and this action the more certain we can be that WE (YOU AND I together) CAN BRING PEACE TO THE MIDDLE EAST. TO ME IT IS WORTH A TRY. WILL YOU JOIN US? One method that changes yourself is Tithing and Tzedakah. This is because when you make a donation that is used to spread the knowledgunitse of Torah - the Light of Torah that is spread by your donation returns to you. Please consider making a donation to further the spreading of the knowledge of the Year 5778 to a greater number of people. It is recommended to connect to the energy of the year 5778 by making a special one time donation during the month of Elul of 57.78 units. What is a unit? It is any money denomination. It can be 57 dimes + 78 Quarters. Or it can be 57 Dollars and 78 Half Dollars. These are just examples. Do this action prior to the start of the new year and then again during the 7 non holiday days between Rosh HaShana and Yom Kippur. It is good to make 57 units + 78 units. If one were to do this using a unit of a nickel and did this for a total of 8 days it would total $54.00. If a dime it would be $108.00. If a Quarter it would total $270.00. It is important to realize that when one donates 57 units one is connecting to the energy of Parnasah which is good financial benefits. When one donates 78 units one is connecting to HaShem with its gematria of 26 on the right column - on the left column - on the central column of the Tree of Life. Here is a link to additional information regarding donations. The word / name of the year is Tav Shin Ayin Cheit. This is a number and it is also two words. One word is spelled Ayin Tav which translates as "time". The other is Shin Cheit which translates as "walk" "stroll" or "bow". o walk or stroll with HaShem. What is the meaning of "bowing to HaShem"? In the Kabbalah and the religious Jewish community "bowing to HaShem has the meaning of accepting the yoke of Torah upon oneself. This means to accept the Mitzvot upon oneself to do them. What is the meaning of "walking with HaShem"? In the Book of Genesis Chanoch Ben Yered is said to "walk with HaShem". Usually this is thought of as a positive aspect. Some of the Sages consider it an aspect of HaShem's Mercy in having taken Chanoch Ben Yered early in life as Chanoch might have done negative aspects if he had been left in the world. There are also other words revealed by these 4 letters that spell the name of the year. See them below. Many times i am asked by students and friends: What will the future be? What will tomorrow bring? I usually answer, "We will all return to the Endless World (Ayn Sof). The only question is will the process be shorter for you due to your restrictions or longer do to your negative actions that create the necessity of cleansing through pain and suffering (chaos)?". The Kabbalists use the directive by Rabbi Bag Bag written in Pirkei Avot in order to understand the inner essence of the next year. Rabbi Bag Bag said, "Turn it! Turn it! For everything is in it!" The Kabbalists understand this to mean Permutate the Letters of the word that spells out the Number value of the year. A second method of analyzing the inner essence of a year is to use Letter Substitutions. Please see our Gematria page to understand them in detail. Please see below to understand some of these essences. A third method is that The Kabbalists also teach us to utilize the Gematriot from the Letters of this word to analyze the Verses from the Tanach תנך - Torah, Neviim (Prophets) and Ketuvim (Writings) to help understand the meaning as well. When making this Kabbalistic Analysis it is important to understand that some essences are revealed (like when a permutation spells a word in Hebrew) and some essences are concealed (like when doing letter substitutions). What this means for this type of analysis relates to the strength of the essence. Below are 3 lists covering the information available from the 3 methods above. When an energy or essence is revealed than it is considered a stronger impact during the year. When it is concealed it will have a lessor impact but may actually be more important in the world Tikune for that year. The standard way of writing a year in Hebrew is to use the Gematria of the Letters that then become a word. The year ahead is 5778 which would be spelled תשעח - Tav Shin Ayin Cheit. The Gematria of this word is 778. The immediate question is what happened to the "5". The practice is to drop the Hey or "5" since each year for a thousand years will have this and it is redundant. Each person knows that we are referring to the Sixth Millennium when we use the Hey or when we drop it. The only time we utilize the Hey is when we are analyzing the year completely like we are doing now. When there are 4 letters (תשעח) there are 24 Permutations. When there are 5 letters התשעח there are 120 permutations which include the previous 24. Usually there are many permutations that do not have meaning in the Hebrew Language. This year is no exception. The Verse that has the same Gematria as the Year. This year will start on September 20 2017. It is the 5778th year since creation. There is only one verse in the Torah that has this total regular gematria. That verse is from Second Samual Chapter 13 Verse 6. I am presenting a link to a Kabbalistic Analysis of this verse above, in the summary section. Please note that the Zohar explains that only a fool will read the Torah verses on their literal level. The Zohar also goes on to say that any person who does interpret the Torah literally is a fool which it would have been better if that person were never born. There is a second verse that connects to the year 5778. This is explained above in the summary section. This verse is from Psalm Chapter 32 Verse 5. Click to return to where you were in the summary – ignore if you are reading through the whole page. One of the important tools the Kabbalists teach us is to put this verse in its location. What was the verse before it talking about and also the verse after it? Here is an English Translation for Verse 5 and 7 from Second Samuel. Another tool of analysis given to us by the Kabbalists is to count the number of words and the number of letters of the verse. Then use these numbers to learn aspects of the message. In 2nd Samuel 13:6 there are 20 words and 84 letters. The number 20 represents 2 times 10 and is used in the Torah in the frame of reference of 20 gerar within a whole Shekel. Thus we learn that the number 20 references direct light and returning light indicating a complete unity of HaShem and the Children of Israel. From these two aspects of the verse we see that the actions that we do this year will be as if we are manifesting these upper worlds on earth. This is my opinion. Tzrufim Is a little known method of analysis using letter manipulation. It takes the first letter of each word and puts them into words of two three or four letters. We use the vowels from the verse itself with these specific letters. This information in is in the previous links. Since most of the time the name of the year does not utilize the Hey for the millennium, we do also look for verses in the Tanach that has the gematria of 778 since this is the gematria of the letters Tav Shin Ayin Cheit. There are no verses with this gematria in the Tanach. What will you do with the information you have just been given by reading this web page? Will you stop trying to win your goal and accept that it is time to "bow" to HaShem so that you will be able to walk with HaShem? There are no punctuation marks, vowels, or grammr indications in the Torah Scroll. This means that the Torah can be viewed as one long string of numbers. This creates various numbers that cross verse limitations. This is another of the Tools of the Kabbalists. It is also well known that the first Parasha (weekly portion) called Genesis or Beraishit in Hebrew is considered the Keter (Crown) or seed level to things that happen in Creation. The Kabbalists tell us to look for phrases of a particular number within the Parashsa of Beraishit. Beraishit has 1 phrase where the letters of the phrase add up to this gematria of this number 5778. 1. Chapter 21 Verse 14 Word 2 to Word 21. Please use the tool to transliterate that can be found by googling "transliterate Hebrew". Abraham, early in the morning, and took bread and a bottle of water, and gave it unto Hagar, putting it on her shoulder, and the child, and sent her away; and she departed, and strayed in the wilderness of Beer-sheba. Please note that the Name Abraham refers to Chesed which is "loving kindness". The Name Hagar refers to "strangers". Strangers can be anyone or any entity connected to the negative system. The phrase is indicating that there will be potentially a separation between some people who want to follow the words of Torah and others who do not. This separation will be done peacefully as indicated by the Name Abraham and will include an allowance to take some wealth with them. This is my opinion. One phrase that has a gematria of 778 in the Parasha of Genesis occurs in Chapter 1 Verse 29. The phrase is two words. Zerah Asher. This translates as "which seed". This phrase reinforces the energy of the year which gives people free choice. "Which seed refers to the seed level or Keter of the world that is changing. this world and choice is about following Torah or not. This is my opinion. There are an additional 42 phrases in the Tanach with a gematria of 5778. There are 859 phrases in the Tanach that have a gematria of 778. If one would like to know what are these additional phrases or words, Please send me an email requesting them. As explained above the standard method of writing the year uses only 4 letters leaving the first letter Hey unused and always assumed since it represents the 6th Millennium which is over 1000 years long. We do use both words in our permutations. Actually the words formed from the 4 letters are included in the permutations of the 5 letter word. There are no words with a gematria of 5778 in the Tanach. There are 27 words with a gematria of 778 in the Tanach. One of these words is שבועת. This word permutates into 2 words that translates as "time for His Sitting". This implies that it is time for humans to do their spiritual work while HaShem "Sits". If you want to know about the other 26 words send me an email requesting the information. With respect to all permutated words it is best for each person to determine for themselves how the attribute represented by each word applies to them and to their consciousness. Kabbalah teaches and works on the idea of relativity. Each attribute of HaShem is relative to each person. Each word formed from the Hebrew Letters is relative to each individual. Here are 5 letter words. Below you will find 4 letter, 3 letter and 2 letter words as well. I have explained the meaning of each permutated word that comes from the letters that spell the Name of the year below. שעה Word = the moth. We have entered a new era since the year 5770 which is the year 2009-2010. This section could be done exactly the same way as the revealed permutations above. The problem or opportunity is that i have not had the resources to automate this process so all possibilities will be revealed. I do now ask you for donations to achieve this. link, you will be connecting to this revelation for this year and all future years since the mechanism will be available to all. Just as the Prophet says everyone will know HaShem. This is a great way to share the Light of Peace with the whole World. $5.20 - $52 - $520 - $5200 will connect you to the manifestation of this wisdom in the physical world. It will help to bring Mashiach. $6 - $60 - $600 - $6000 will connect you to the spiritual world of Heaven called Zeir Anpin. $6.30 - $63 - $630 - $6300 will connect you to the energy of the Sefira of Binah - "Understanding" which is what will unite "Understanding" Between People." $7 will connect you to the essence of Time known as a week or 7 days. $7.20 - $72 - $720 - $7200 will connect you to the Sefira of Chochmah - Wisdom - and the energy of the 72 Names of HaShem. $12 - $120 - $1200 will connect you to the 12 Tribes of the Children of Israel - People of Spiritual Consciousness. $15 - $150 - $1500 will connect you to the Upper Spiritual Worlds Known as Chochma and Binah; Wisdom and Understanding. $1.80 - $18 - $180 - $1800 will connect you to the essence of Life and strengthen your Life Force Energy. $2.20 - $22 - $220 - $2200 will connect you to the Energy of the Hebrew Letters. $2.60 - $26 - $260 - $2600 will connect you to the Energy of HaShem. $3.20 - $32 - $320 - $3200 will connect you to the energy of the 32 Paths of Wisdom. Also, know that donations can be made in the same number of coins. Thus, 1800 nickels ($90) connects you to the same energy as 1800 dollars. It depends on your personal resources and the Tzedakah or Tithing amount you want to make. Please Make a Donation so that this work can continue uninterrupted. Within the Children of Israel who are spread throughout the physical world there are many differences. These differences have been manifesting throughout world history for thousands of years. What will make them stop? What will allow the energy of peace and the energy of the verses mentioned above to manifest during this coming year? Only one thing. The realization that the other persons point of view is just as Right as my point of view. This will create unity with diversity. Just as the different species of each animal and plant coexist. Mankind can only co-exist with this attitude that i do not have to be right - only the other guy needs to be satisfied with his lot in life and his place in the world. Let us look at some of these overwhelming differences between people in the world. With in the Jewish religion - my way of praying is the only way to pray. This means your way of praying must be wrong. What arrogance? HaShem created both of you. HaShem created 12 Tribes each with its own Gate of Prayer. The 12 Tribes came to the Temple together and prayed together in their different ways and manners. Why can that not happen again? Why can we not agree to put our differences aside for this year and allow the energy of the verses discussed above and the energy of the year 5778 to manifest. These differences have existed for thousands of years. Would a year without arguments and disagreements be so terrible? Maybe letting go of being "right" will leave us open to think that unity with diversity is better than no unity at all. This next year can be an amazing exciting time in world history. This will happen only if people will give up their need to be right and choose to create unity with diversity. This is what Torah teaches. This is what HaShem has told us to do. In the words of Torah, " Vahavta Laracha Camocha. Love Your Neighbor As Yourself." That means make sure Your Neighbor knows that what He Wants You want for him. Have a wonderful Year. Leshanah Tovah - Happy New Year means let the other guys desire precede yours. There are enough resources to go around. All we have to do is stop trying to be right.